Her high aroma, strong mouthtaste and long durability make her ideally suited as a beginner or everyday tea. For hundreds of years, she ranked amongst the foremost of Famous Teas. Grown in the Xinyang county of Henan province, the tea plant has been cultivated for 2,000 years ago. Luyu - widely revered in China as the Tea Sage and author of the world's first tea encyclopedia Chajing - lavished praises on her. 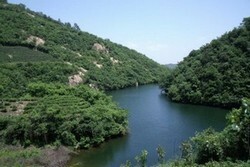 He rated her as the No 1 of Huainan region, one of the eight tea regions his surveyed. In 1915, she was awarded a medal in the Panama Exposition. In 1959, she was chosen officially as one of the Ten Famous Teas, alongside Longjing, Biluochun and Maofeng tea (which are widely regarded as the No 1, 2 and 3 of Chinese green teas respectively). The accolades continued well into the 1990s, but increasingly she seems to have been overtaken by other newer teas. Local people are asking: "Why is Xinyang Maojian no longer in the recently published Ten Famous Teas, while Longjing, Biluochun and Maofeng have stayed up?" There are many reasons, but the most obvious is that she has succumbed to the Curse of Famous Tea, which I explained below. Those who have studied the history of Famous Teas would have noticed a familiar pattern, a pattern that tea sellers would loath to admit. 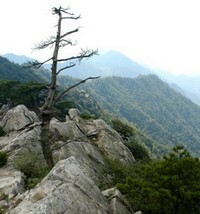 The difficulty arises because it is impossible for rare tea to become widely available. Famous Teas became famous because they were crafted from rarely available plant materials. But once a tea becomes famous, there is insufficient supply to meet the explosive demands. Consequently, Famous Teas are sourced from second-rate, even third-rate regions surrounding the authentic source, but not from the authentic source itself. End result? A lot of people who unknowingly bought their "famous" teas from second or third rate regions at relatively high prices but disappointing quality. In the case of Xinyang, the Authentic Souce is found in the tea producing regions of "Five Clouds, Two Waterfalls and One Mountain". However, the local government has expanded the Xinyang brand to include second/third rate tea regions, without adequately differentiating between them. If you are looking for the Best of the Best, Xinyang Maofeng may not be your safest bet. But if you are looking for a quality everyday beverage, she has much to offer. I will explain why in the next tab. This is a perfect beginner tea. 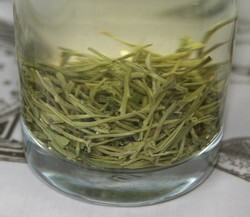 Tea newbies may find the floral aroma of a green tea elusive, but Maojian's aroma is high and lasting. The mouthfeel is heavier, with a long, sweet aftertaste. We switched to a different tea gaden in 2014 and believe this AA grade offers compelling value and quality that is superior to previous years. When you receive your packet, pour out a few tea leaves on a piece of paper and examine them closely. At first glance, you may be mistaken that she is a Japanese sencha tea. The dry leaves long and narrow, fine as a needle. Take a deep breath. Can you smell the pan roasted (nutty) aroma? Do you detect a floral aroma that seems to get stronger once you discover it? Admire the wet tea buds. Notice that these are fine tea buds where the leaves are only slightly unfurled. It is a sign of high grade as the tea buds are still sprouting. Due to her strong aroma and mouthfeel, you only need to infuse a small quantity each time. Also, she is renown for her long durability, this means you can infuse her for up to 3 to 5 times. I do enjoying my cup - or two - of Xinyang Maojian in the morning. If anything it would remind me of a Bilouchun in the nose. The initial taste I find a bit hidden but I am always pleasantly surprised by the full and pronounced after taste. As an everyday tea and taking the "value for money" into consideration I would give her a good 4.5 (I am NO expert though). The Moli Fengyan I have reordered because of the enjoyable blending in of the Jasmine flavor. 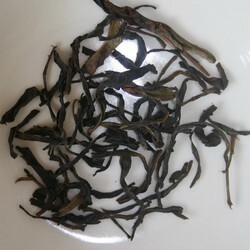 This is a superb green (Xinyang Maojian AA) that I would rate in the same league as your Taiping and Lushan. Will have this on my next order. Love the low temp brewing instructions, perfect. It was very good. It had a lovely aroma and lots of flavour. Reminded me of Maofeng and Green Yunnan. This Maojian tea is probably the most delicate tea I sell. Alongside Biluochun and Mengding Ganlu, you have to brew it with special care. Brew her the same way as Biluochun tea using hot water of 160 Fahrenheit (70 degree Celsius). For further information, read Biluochun Tea (Piluochun) - Further Guide. In addition, she can be sensitive to high temperature for the second and third infusions. When using boiling water, make sure you infuse no longer than 20 seconds for the second infusion.